This is one of many bands I have discovered courtesy of Tom Robinson’s Listening Post which is a very useful feature of his Fresh on the Net website where each week members of the general public and music lovers alike are able to listen and review a number of tracks posted by aspiring independent bands, singers and musicians. Lux Lisbon are no ordinary band, they are certainly original, fresh and quirky, but above all they combine these elements with impeccable musicianship and an uncanny ability to write and produce the most epic and artistically-rich songs, often accompanied by equally epic and artistically rich videos. 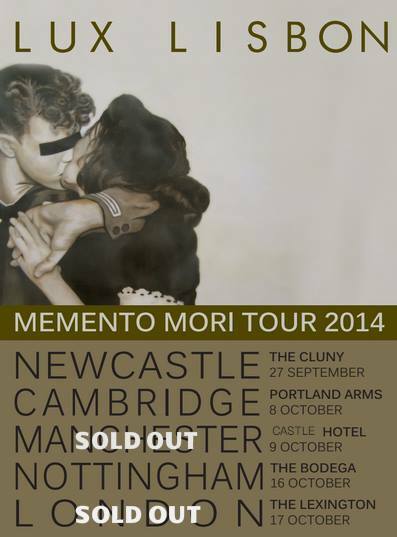 Memento Mori is Latin for ‘remember you will die’. The song is a real party, a fiesta, a death fiesta! I’m sure many of you will already be familiar with the phrase (or the Muriel Spark novel) but it really stuck a chord with me at an exhibition all about the iconography of death – “Death: A Self Portrait” at Kings Cross this time last year. I’d never heard it before, but we’ve made sure that the music the opposite of that and it’s full of life, ‘Get Some Scars’ esque harmonies, percussion and Elliot Phelps’ trumpet. 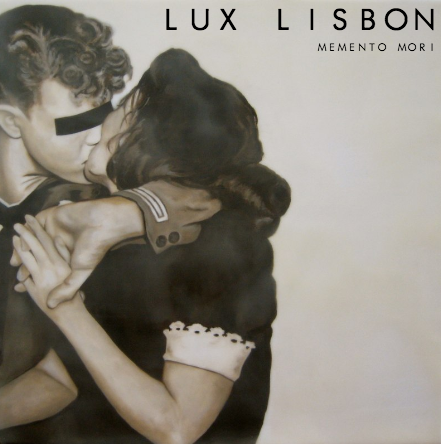 With shows selling out and frequent plays and live appearances on BBC Introducing, Lux Lisbon are on a direct trajectory to legendary status. Catch them live at a gig near you before they sell out!